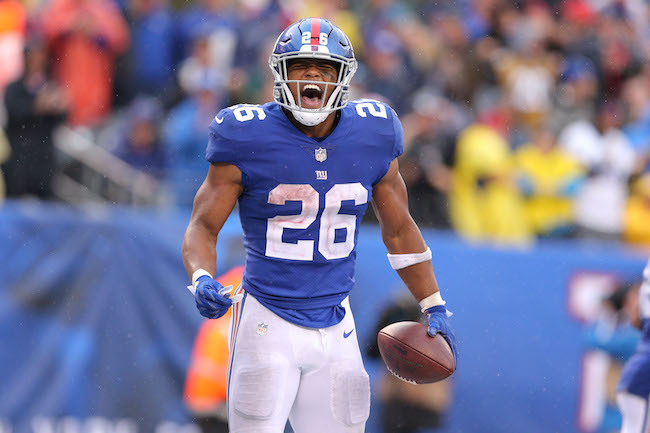 New York Giants running back Saquon Barkley has been named the Pepsi NFL Rookie of the Year. In 2018, Barkley became only the third rookie in NFL history to accrue 2,000 yards from scrimmage and breaking a number of franchise records. He also was voted to the Pro Bowl and named Pro Football Writers of America “Offensive Rookie of the Year.” Overall, Barkley started all 16 games, rushing 261 times for 1,307 yards (5.0 yards per carry) and 11 touchdowns. He also caught 91 passes for 721 yards and four touchdowns. Though not officially announced, according to media reports, the New York Giants will soon release linebacker Connor Barwin. The Giants signed Barwin as an unrestricted free agent from the Los Angeles Rams in July 2018. Despite playing in 15 games with three starts, Barwin finished the year with just 12 tackles, 1 sack, and 4 pass defenses. Barwin was originally selected in the 2nd-round of the 2009 NFL Draft by the Houston Texans. Before joining the Giants, he spent time with the Texans (2009-2012), Philadelphia Eagles (2013-2016), and Rams (2017). Rob Leonard is leaving the New York Giants to join the coaching staff of the Miami Dolphins. The 33-year old Leonard had served as the Giants’ assistant linebackers coach under Head Coach Pat Shurmur and Linebackers Coach Bill McGovern. Leonard had been with the Giants since 2013, first serving as a defensive assistant (2013-2016), then assistant defensive line coach (2017), and then assistant linebackers coach (2018). He is the second coach to leave the team this offseason, the other being Assistant Defensive Backs Coach Deshea Townsend, who is now the defensive backs coach of the Chicago Bears.